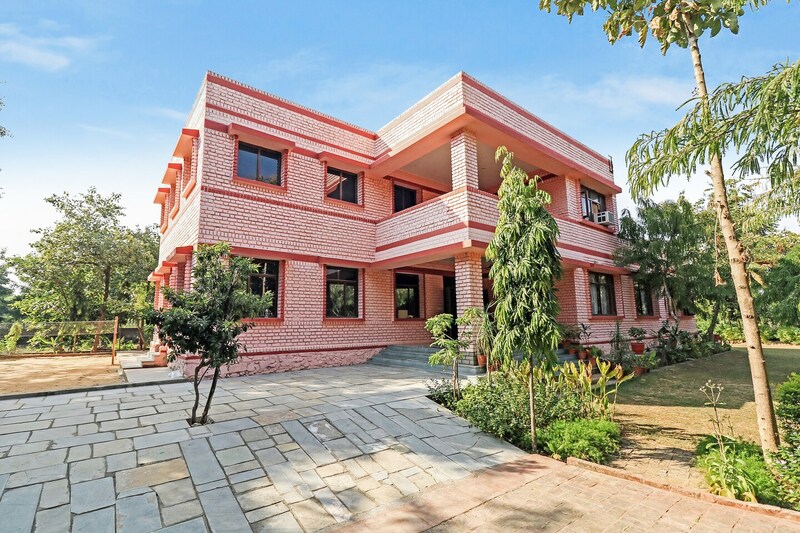 OYO 26960 Home Exotic Farmstay Jagatpura is a budget property located near Sector 12, Indra Gandhi Nagar. Kho Nagoriyan Jama Masjid, Guru Charan Mandir, Moti Masjid and Shiv Mandir Trek are located close to the property. Located in the outskirts of the city, the property is surrounded by trees and greenery. The farmstay features a huge manicured lawn with swing and outdoor seating area. The common areas are quite spacious and airy featuring minimalistic decor. The farmstay is fully equipped with modern amenities like TV, AC, parking facility, geyser, CCTV cameras, dining area and refrigerator. The property has many restaurants around like Shri Mahal Dhaba, Tummy Recharge, Fastpizza, Potlee and Garden Court Cafe & Restaurant.